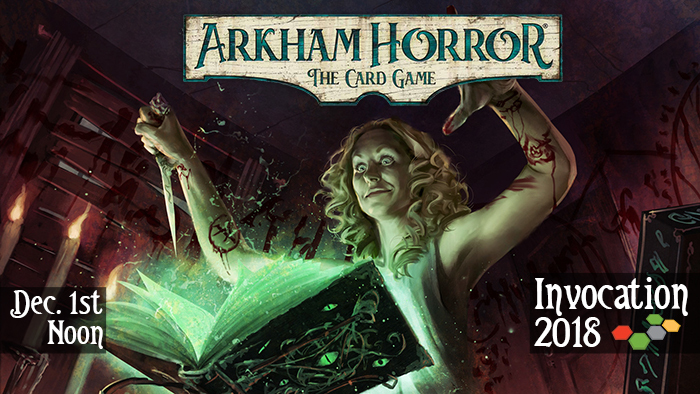 Each participant receives a special scenario pack, The Eternal Slumber, that premiered at Gen Con this year! In addition players will get a set of stylish card dividers and an Invocation 2018 playmat! Come in any time, this is an all-day affair! Feel free to bring a friend for co-op, however note that you must pay the entry fee to receive the scenario pack, card dividers, and playmat for yourself. NOTE: Space for this event is extremely limited. Please contact us for information on availability.